Get more familiar with the process and practice of coding. 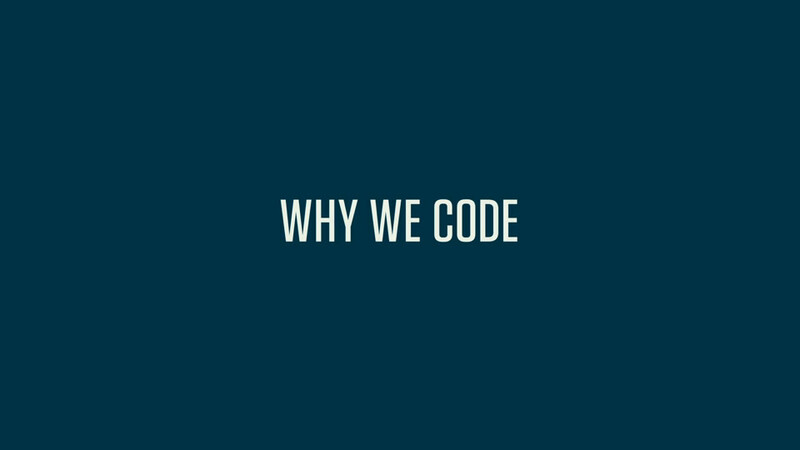 This video will take you through the what's, why's, and how's of the coding process. Let’s start with a simple question about medical coding: Why do we code medical reports? Wouldn’t it be enough to list the symptoms, diagnoses, and procedures, send them to an insurance company, and wait to hear which services will be reimbursed? To answer that, we have to look at the massive amount of data that every patient visit entails. If you go into the doctor with a sore throat, and present the doctor with symptoms like a fever, sore throat, and enlarged lymph nodes, these will be recorded, along with the procedures the doctor performs and the medicine the doctor prescribes. In a straightforward case like this, the doctor will only officially report his diagnosis, but that still means the portion of that report that will be coded contains a diagnosis, a procedure, and a prescription. Take a step back, and this is suddenly a lot of very specific information. And that’s just for a relatively simple doctor’s visit. What happens when a patient comes into the doctor with a complicated injury or sickness, like an ocular impairment related to their Type-2 diabetes? As injuries, conditions, and illnesses get more complex, the amount of data that needs to be conveyed to insurance companies increases significantly. According to the Centers for Disease Control (CDC), there were over 1.4 billion patient visits in the past year. That’s a stat that includes visits to physician offices, hospital outpatient facilities and emergency rooms. If there were just five pieces of coded information per visit, which is an almost unrealistically low estimate, that’d be 6 billion individual pieces of information that needs to be transferred every year. In a system loaded with data, medical coding allows for the efficient transfer of huge amounts of information. Coding also allows for uniform documentation between medical facilities. The code for streptococcal sore throat is the same in Arkansas as it is in Hawaii. Having uniform data allows for efficient research and analysis, which government and health agencies use to track health trends much more efficiently. If the CDC, for example, wants to analyze the prevalence of viral pneumonia, they can search for the number of recent pneumonia diagnoses by looking for the ICD-10-CM code. Now that we understand the importance of this practice, let’s take a look at the three types of code that you’ll have to become familiar with as a medical coder. There are three sets of code you’ll use on a daily basis as a medical coder. The first of these is the International Classification of Diseases, or ICD codes. These are diagnostic codes that create a uniform vocabulary for describing the causes of injury, illness and death. This code set was established by the World Health Organization (WHO) in the late 1940s. It’s been updated several times in the 60-plus years since it’s inception. The number following “ICD” represents which revision of the code is in use. For example, the code that’s currently in use in the United States is ICD-10-CM. This means it’s the 10th revision of the ICD code. That “-CM” at the end stands for “clinical modification.” So the technical name for this code is the International Classification of Diseases, Tenth Revision, Clinical Modification. The clinical modification is a set of revisions put in place by the National Center for Health Statistics (NCHS), which is a division of the Center for Medicare and Medicaid Studies (CMS). The Clinical Modification significantly increases the number of codes for diagnoses. This increased scope gives coders much more flexibility and specificity, which is essential for the profession. To give you an idea of how important the clinical modification is, the ICD-10 code, has 14,000 codes. It’s clinical modification, ICD-10-CM, contains over 68,000. ICD codes are used to represent a doctor’s diagnosis and the patient’s condition. In the billing process, these codes are used to determine medical necessity. Coders must make sure the procedure they are billing for makes sense with the diagnosis given. To return to our strep throat example, if a coder listed a strep throat diagnosis as the medical justification for an x-ray, that claim would likely be rejected. Let’s turn our attention now to the two types of procedure codes. Current Procedure Terminology, or CPT, codes, are used to document the majority of the medical procedures performed in a physician’s office. This code set is published and maintained by the American Medical Association (AMA). These codes are copyrighted by the AMA and are updated annually. CPT codes are five-digit numeric codes that are divided into three categories. The first category is used most often, and it is divided into six ranges. These ranges correspond to six major medical fields: Evaluation and Management, Anesthesia, Surgery, Radiology, Pathology and Laboratory, and Medicine. The second category of CPT codes corresponds to performance measurement and, in some cases, laboratory or radiology test results. These five-digit, alphanumeric codes are typically added to the end of a Category I CPT code with a hyphen. Category II codes are optional, and may not be used in the place of Category I codes. These codes are useful for other physicians and health professionals, and the AMA anticipates that Category II codes will reduce the administrative burden on physicians’ offices by providing them with more, and more accurate, information, specifically related to the performance of health professionals and health facilities. The third category of CPT codes corresponds to emerging medical technology. As a coder, you’ll spend the vast majority of your time with the first two categories, though the first will undoubtedly be more common. CPT codes also have addendums that increase the specificity and accuracy of the code used. Since many medical procedures require a finer level of detail than the basic Category I CPT code offers, the AMA has developed a set of CPT modifiers. These are two-digit numeric or alphanumeric codes that are added to the end of the Category I CPT code. CPT modifiers provide important additional information to the procedure code. For instance, there is a CPT modifier that describes which side of the body a procedure is performed on, and there’s also a code for a discontinued procedure. Healthcare Common Procedure Coding System (HCPCS), commonly pronounced as “hick picks,” are a set of codes based on CPT codes. Developed by the CMS (the same organization that developed CPT), and maintained by the AMA, HCPCS codes primarily correspond to services, procedures, and equipment not covered by CPT codes. This includes durable medical equipment, prosthetics, ambulance rides, and certain drugs and medicines. HCPCS is also the official code set for outpatient hospital care, chemotherapy drugs, Medicaid, and Medicare, among other services. Since HCPCS codes are involved in Medicaid and Medicare, it’s one of the most important code a medical coder can use. The HCPCS code set is divided into two levels. The first of these levels is identical to the CPT codes that we covered earlier. Level II is a set of alphanumeric codes that is divided into 17 sections, each based on an area of specificity, like Medical and Laboratory or Rehabilitative Services. Like CPT codes, each HCPCS code should correspond with a diagnostic code that justifies the medical procedure. It’s the coders responsibility to make sure whatever outpatient procedure is detailed in the doctor’s report makes sense with the listed diagnosis, typically described via an ICD code. Now that you’ve got a better idea of what each of these codes is and what they do, let’s start exploring each code set in a little more detail. Get more familiar with the process and practice of coding. This video will take you through the what's, why's, and how's of the medical coding process.